A dedicated team of serial entrepreneurs, Backblaze members have a passion for developing powerful yet easy-to-use technologies that customers love. Gleb Budman is CEO and co-founder of Backblaze. Along with his team, Gleb bootstrapped Backblaze to millions in revenue and profitability. The company won the SIIA CODiE for Best Cloud Storage and secured a spot on Deloitte's Fast 500 fastest growing technology companies as a result of its 917% five-year revenue growth. Previously, Gleb led the product teams from pre-funding through acquisition at Kendara and MailFrontier, and founded three prior companies. He received his MBA from Berkeley's Haas School, has been a speaker at events including GigaOm Structure, Massive Storage Systems and Technology, and SNIA; profiled by Inc. and Forbes; and holds 5 patents on security. Co-founding MailFrontier in 2002, Brian Wilson built a powerhouse technical team that developed technology that won awards from Network World, Cnet, PC Magazine, and many others and is protecting email in thousands of enterprises and for millions of users worldwide. Prior to founding MailFrontier, Brian founded and managed a software consulting firm, Codeblaze. He served as one of the software architects at Kendara, a startup formed in 1999. He also has held technical positions at Apple, SGI, Hewlett-Packard, Tivo and [email protected] Brian is a published author, has seven granted patents, and received a bachelor's degree in engineering-physics from Oregon State University and a master's in computer science from Stanford University. Tim Nufire has been a dynamic engineering leader in organizations that range from four to 40,000 employees during his 15 plus years in Silicon Valley. He was director or vice president of engineering at three successful startups acquired by SonicWALL, Yahoo! (NASDAQ:YHOO), and Thomson Corporation (NYSE: TRI; TSE:TRI). As vice president of engineering at Thomson Corporation, he drove process innovations to ensure rapid, high-quality development. His accomplishments at MailFrontier, SearchFox, and Aplia include building technical teams sizing from five people to 30; developing a large-scale, highly available web service that processed 2 million transactions per day; and developing innovative "Web 2.0" technologies. Previously, Tim managed Excite Inbox and its 6 million users and held senior engineering positions at Apple, Adobe, and others. He graduated with Highest Distinction from the University of Kansas with a B.S. in mathematics and an emphasis in physics. Most recently, Casey Jones was the design lead for SonicWALL's products, where he developed the company's official product design guide and revamped the user interface for the firewall deployed in over 1 million businesses worldwide. 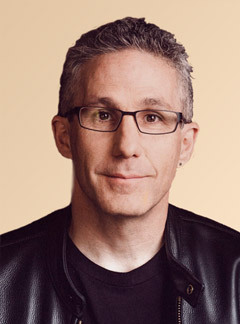 He led user interface and web design and development at MailFrontier, where both end users and corporate IT praised the products for their ease of use, and at Kendara through its acquisition by [email protected] Starting in design in the early days of the web, Casey developed event sites for companies, including Sun Microsystems, Cisco Systems, and PeopleSoft. Damon's technical vision, passion, and dedication to detail of "all things Mac" allowed Backblaze to be instantly accepted by the highly critical Mac community as a product worthy of their loyalty. Damon is a veteran of three startups and also brings to Backblaze his extensive experience from his senior technical positions at Excite and Oracle. Nilay runs Sales for B2. Nilay was part of the founding team at Backblaze and started Business Backup and the partner programs. In early 2011, Nilay left to be co-founder of Selligy. Selligy's products guided inside and field salespeople on how best to interact with their customers. Selligy won multiple awards for its products, including being named Gartner Cool Vendor for CRM in 2014. As CEO, Nilay raised $3M from DFJ Ventures, Salesforce and other investors. Selligy was acquired by Veeva Systems (NYSE: VEEV) in mid-2015. Soon thereafter, Nilay returned to Backblaze. In addition to Selligy, Nilay was the first employee in Europe for both Electric Cloud and MailFrontier. He opened up the territories by selling products to Nokia, Ericsson, Siemens Medical, Bertelsmann and other large enterprises. Nilay has his computer science degree from UC Berkeley. Ahin's career is focused on building great Commerce experiences and developing talent. Previously, he headed up marketing for Symphony Commerce (a leader in the Commerce-as-a-Service space). Before that, Ahin was the co-founder / CEO of VIntners' Alliance. He led the company through its Series A and introduced the industry's first data co-op, pioneered the introduction of programmatic display for alcohol in the US, and co-authored California's current regulatory regime governing alcohol transactions. He also got to drink a lot of great wine. Ahin holds his MBA from Wharton, AB from Georgetown University (Government, with honors). A Bay Area native, Ahin is also an experienced musician and songwriter. John H. Tran is the chief financial officer and chief operating officer of Backblaze. Most recently, John was the chief operating officer for ImmunGene, Inc.; a clinical-stage biopharmaceutical company focused on the development of novel cancer immunotherapy. John also held executive leadership roles in various private and public companies, including companies that went through initial public offerings and mergers and acquisitions. Earlier in his career, he was an audit manager with PricewaterhouseCoopers, LLC. John received his Bachelor of Arts degrees in Biology and Business Economics, with an emphasis on Accounting, from the University of California, Santa Barbara. John is a certified public accountant with the State of California (inactive). Jeannine Smith provides business insight from internal Backblaze data. Before joining Backblaze, she was an operating technical advisor for many startups, including Deliv and Skybox. Jeannine was an early employee at Shutterfly and led technical teams through Shutterfly's IPO in 2006, in her role as Chief Engineering Officer and SVP of Operations. Previously, she held multiple positions at Silicon Graphics, including Principal Engineer. Jeannine graduated from Stanford University with a Bachelor of Science degree in Electrical Engineering. Brian Beach has wide-ranging technical experience, from fundamental academic research on programming methodology and distributed computing at Hewlett-Packard Laboratories to ground-breaking consumer devices at TiVo. At Backblaze, Brian designed the vault storage system and now leads the engineering team. He earned both an undergraduate degree and a Ph.D. from the University of California at Santa Cruz.